The current version of top level of football in the Republic of Ireland has been running since 1985, with Shamrock Rovers F.C. wining the first ever league title. Dundalk and Shelbourne are the most successful teams, having won 6 league titles each. No teams from the Republic of Ireland have won the European Champions League. Considering how close geographically Ireland is to England, it's quite difficult to buy shirts from there. Most of the teams don't have online stores which is the first hurdle to get past. The shirt I do have though was a bit of a gamble as I wasn't sure if the shirt was ever going to come with tags attached. Luckily it did. My three most recent Irish shirts that I have added to my collection. 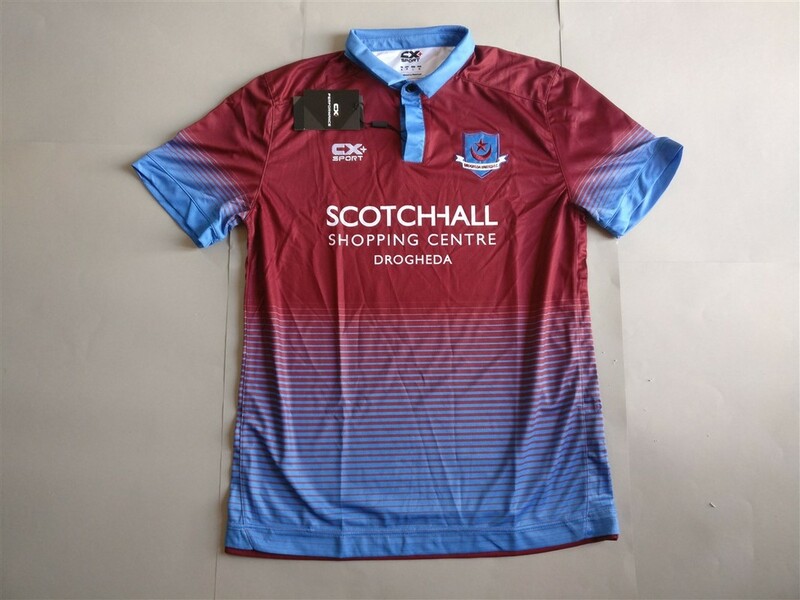 If you are looking to buy an Irish club football shirt from an official club store then click the link below and it will take you to a list of clubs to choose from.